Pond’s, the global skincare brand with more than 160 years of expertise announces multi-talented award-winning local artiste, Michelle Chong as the latest ambassador for the Pond’s Age Miracle range. This is part of the brand’s new campaign -“Love your Expressions, Lose your Lines”, that celebrates the woman who expresses herself with confidence and lives every moment to the fullest no matter the age. The brand believes that aging should not be a factor that prevents women from embracing new challenges and living life to the fullest. Complementing the campaign is the complete skincare regime from the Pond’s Age Miracle range aimed at combating expression lines – the first signs of aging. 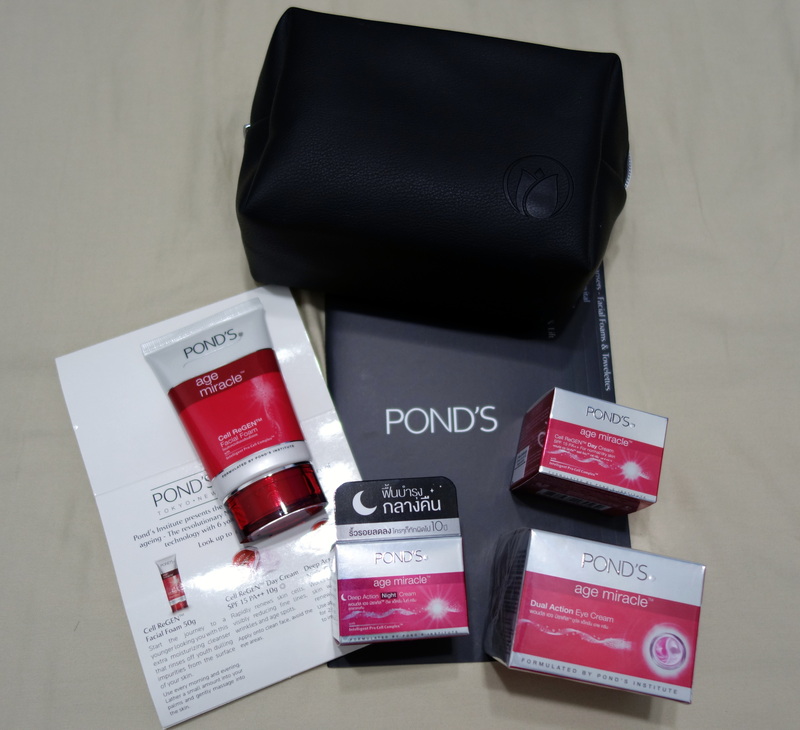 Michelle Chong comments, “I am thrilled to be working with Pond’s on this campaign. The proposition speaks to me because I am someone who expresses my thoughts and emotions freely. Even when I play out my characters from Lulu to Barberella on television, I also rely a lot on my expressions rather than make-up or costume changes to bring their personalities to life. Through this collaboration with Pond’s, I learnt that every expression can age us a little faster each day, with expression lines being the first sign of permanent wrinkles forming beneath the skin. 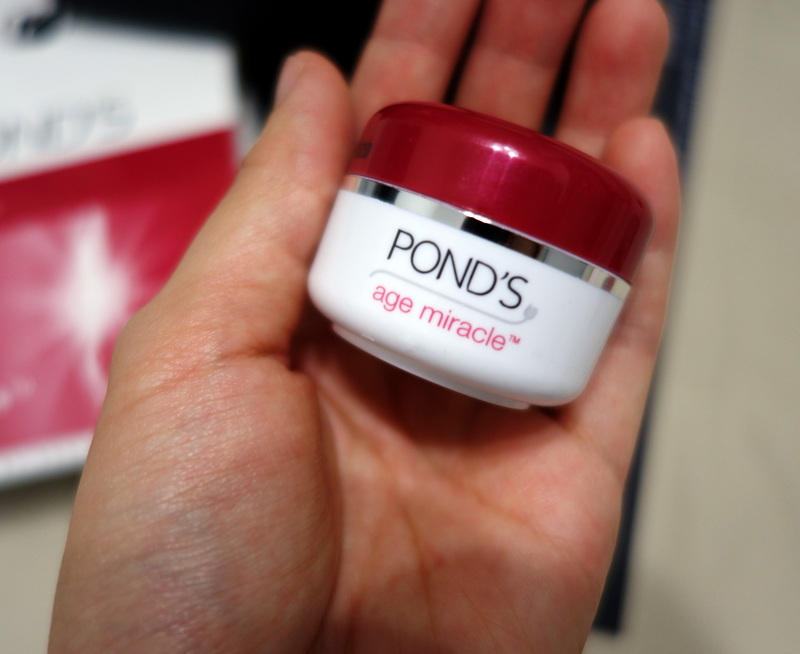 Since embarking on the Pond’s Age Miracle journey, I feel that my skin has become smoother – my laugh lines especially are less visible and firmer. I am also getting compliments from my family and friends that there is a permanent glow on me even when I am without make-up! This is definitely an added boost of confidence for me!” she added. Innovating the science of beauty since 1846, Pond’s promise has always been to deliver beauty transformations through revolutionary product creations – making a real difference to women’s skin and the way they live their lives. 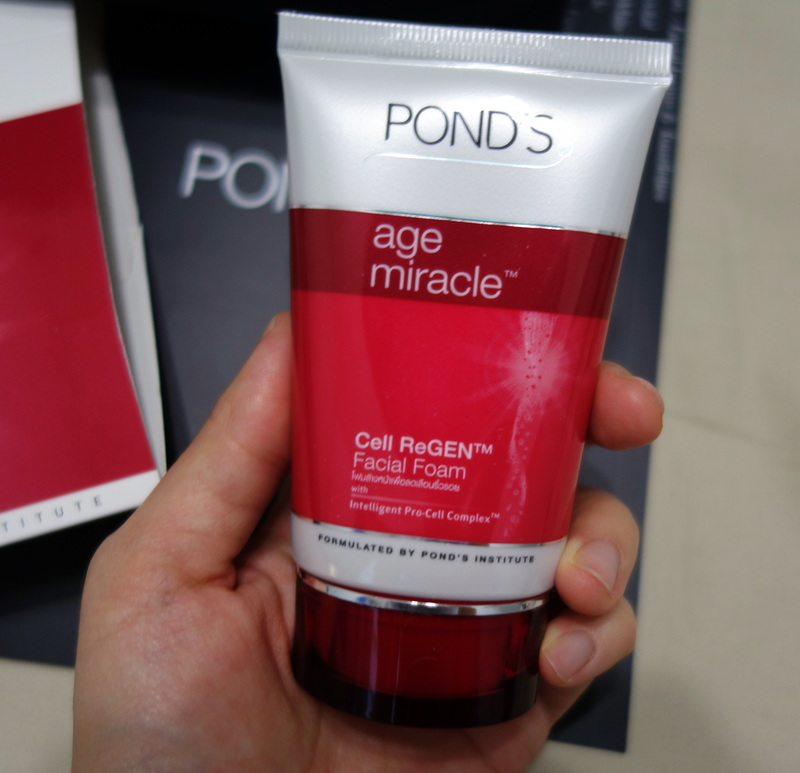 At Pond’s, the brand recognizes that the secret to a younger looking skin lies deep within the role that Stem Cells play, where cellular renewal is stimulated and young cell regeneration is promoted. Pond’s Institute created a revolutionary breakthrough in anti-aging – a potent combination of six Youth Enhancing Bio-Actives: two Retinol boosters, AHA, Glycerin, CLA and Retinol. 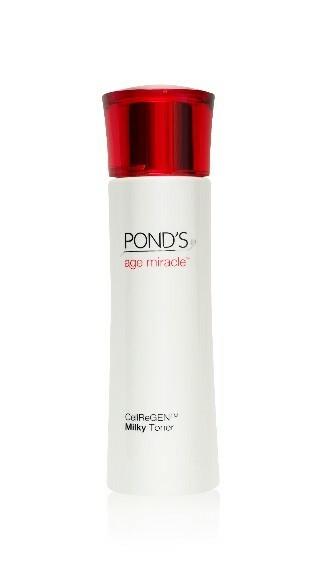 The result is Pond’s Age Miracle range*, a multi-tasking formulation that works to correct expressions lines by 27%. The bio-actives also work to repair the skin, enhance collagen and new cells production, and boost skin’s moisture from within. 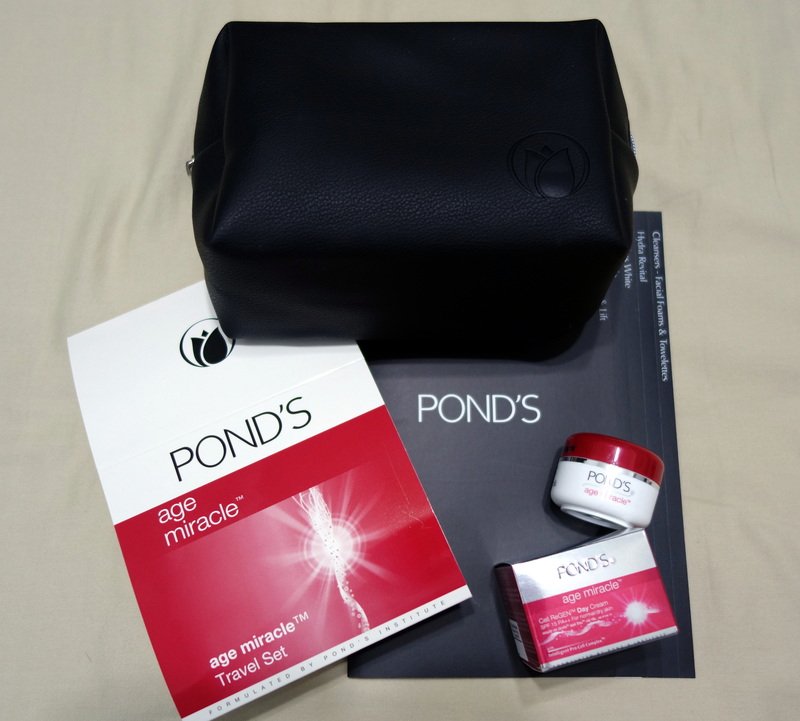 The Pond’s Age Miracle range consists of seven products: Cell ReGen Facial Foam, Cell ReGen Milky Toner, Dual Action Eye Cream, Cell ReGen Day Cream SPF 15 PA++, Deep Action Night Cream, Firm & Lift Face & Neck Lifting SPF 30PA++, Firm & Lift Targeted Lifting Massager. The Cell ReGEN™ Facial Foam is specially formulated to deep cleanse the skin and prep it for cell repair. Containing gentle microbeads, the foam permeates past skin layers to weaken the bonds that hold dead skin cells together. Complete with five anti-aging actives – CLA, AHA, 2 Retinol boosters, Glycerine and Retinol – this cleansing soap not only cleanses but is also the skin’s first step to more youthful skin. Retails at $9.90 for 100ml. My mum said that the Cell ReGEN™ Facial Foam contains very fine beads and once the foam comes into contact with water, the fine beads will gradually disappear and become foamy.. The scrub contains an appealing flowery scent and no stinging sensation is experienced while cleansing… After cleansing, her skin feels smoother, brighter and it doesn’t feels tight… With each wash, dead-skin cells are being scrubbed off, hence her skin feels really clean and she loves the refreshed feeling… If you have sensitive skin, remember to create a rich lather before massaging your face as using this facial foam on dry skin as it might cause more friction which might increase irritation.. This gentle milk toner comes with an alcohol-free formulation to effectively clean and tighten the pores, without giving the skin any harsh drying effects. The toner, also packed with the five anti-aging actives, works to retain the skin’s natural moisture level, giving it a flawless and supple look. Retails at $19.90 for 150ml. This cream-based moisturiser for the day targets fine lines, wrinkles and age spots to renew the skin for a smooth and bouncy feel in just seven days. The anti-aging actives work to penetrate deep into multiple skin layers to promote skin repair and stimulate collagen production. The skin cell’s moisture level is also boosted from deep within to deliver plumper skin. It is fortified with SPF 15 PA++ to keep the skin protected from the UV-damage. In a clinical study done on Asian skin, it was shown that over 90% felt that the moisturizer provided long-lasting moisture, left the skin feeling nourished, soft and smooth. Retails at $29.90 for 50g. Retails at $29.90 for 50g. Containing the five actives CLA, AHA Retinol, Glycerine and 2 Retinol boosters, this velvety, luxurious cream renews skin fast and intelligently targets wrinkles, fine lines and age spots, resulting in an exceptionally smooth and bouncy skin. My mum loves the Cell ReGEN™ Day Cream SPF 15 PA++ as it contains moisturizer and sunblock within a tub. In the past, she will tend to skip the use of moisturizer as she felt that sunblock is already making her face so greasy.. hahaha~ To resolve this problem, she has been using 2-in-1 day cream since. She said that the Cell ReGEN™ Day Cream SPF 15 PA++ has a lighter texture as compared to the day cream she was using in the past. It has a light floral scent and the creamy texture gets absorbed into her skin without leaving behind any white cast. It does not leave behind any stickiness or greasiness. After application, she felt that her skin feels really smooth and soft. As for the improvement in skin firmness, she did not observe any but will continue to use for a longer period of time to see if it makes a difference. She really loves the day cream due to its light texture and she said she will replenish it when the current tub runs out. Deep Action Night Cream is designed to intensely accelerate the renewal process at night when cells’ regeneration potential is at the peak. This formula contains natural lipids and anti-aging actives to reduce signs of aging. The rich creamy texture melts into the heart of the skin – resulting in a skin that is silky smooth and luxuriously soft the next day. 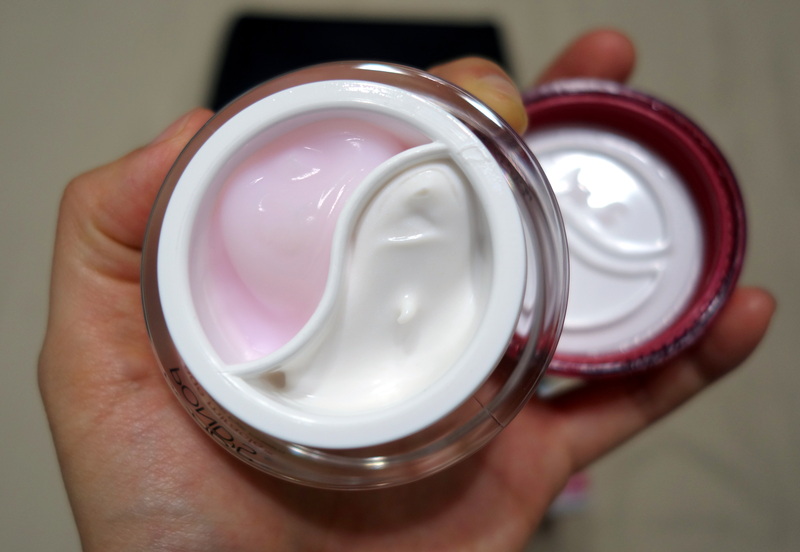 As for the Deep Action Night Cream, my mum said that it has a thicker texture as compared to the day cream. Nonetheless, it still gets absorbed into her skin fast without any greasiness. After application, my mum said that her skin felt smooth, soft and more hydrated. She love the floral scent of both creams as well. The Dual Action Eye Cream targets specific problem areas around the eyes. It contains a pink cream with cell boosting Collagen that helps in reducing wrinkles, fine lines and crow’s feet and a white cream containing CLA to reduce puffiness and dark circles while stimulating the skin to instantly brighten tired-looking eyes. Retails at $29.90 for 20g. As mentioned, the Dual Action Eye Cream is made up of two creams aimed at targeting specific problem areas around the eyes. Enriched with cell boosting Collagen, the pink cream helps reduce the appearance of fine lines, wrinkles and crow’s feet around the upper eyes, for a smooth and lifted look. The white cream is powered by anti-aging active, CLA to stimulate blood circulation of tired-looking and puffy skin under the eyes for an instantly brightened look. For our delicate eye area, it will often be the first tell-age of aging when the content of elastin in the skin begins to diminish. ‘Crow’s Feet’ will start to form as a result. Because of our hectic lifestyle, insufficient rest will also cause tired-looking and ‘puffy eyes’. Hence, the Dual Action Eye Cream will be able to target specific problem areas around the eyes – Fines lines, Wrinkles, crow’s feet and puffiness. Both Pink and White Cream are Fragrance free. 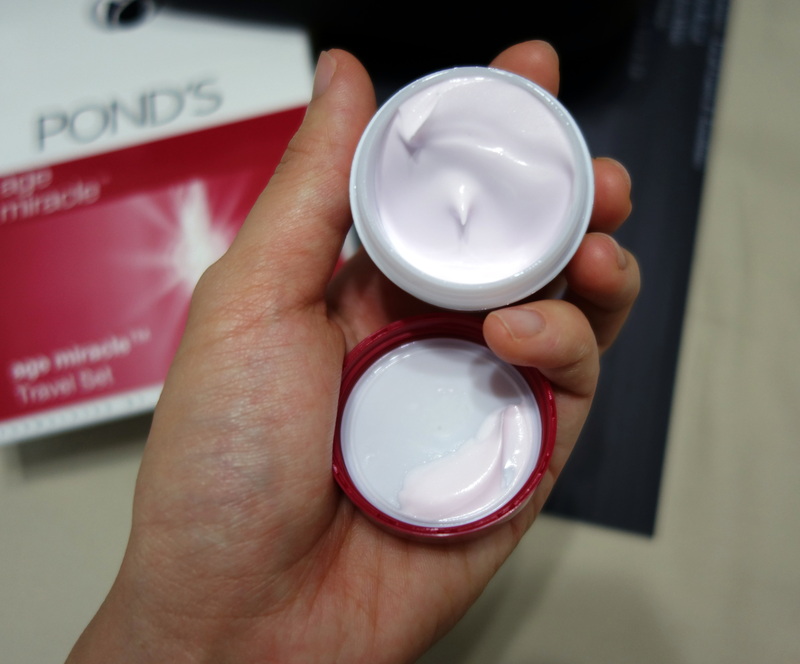 The Pink Cream (For Upper Eye) has a gel texture while the White Cream (For Under Eye) has a Creamy Texture, therefore a small amount suffices… Since the texture is on the thicker side, it will take a longer time to get absorbed… Trick is apply small amount of the cream under eye, massage and pat the eye cream to speed up absorption.. Upon contact, it feels a little oily but it leaves the skin on my eye-area smooth (with no sticky after feel) after it sets in. 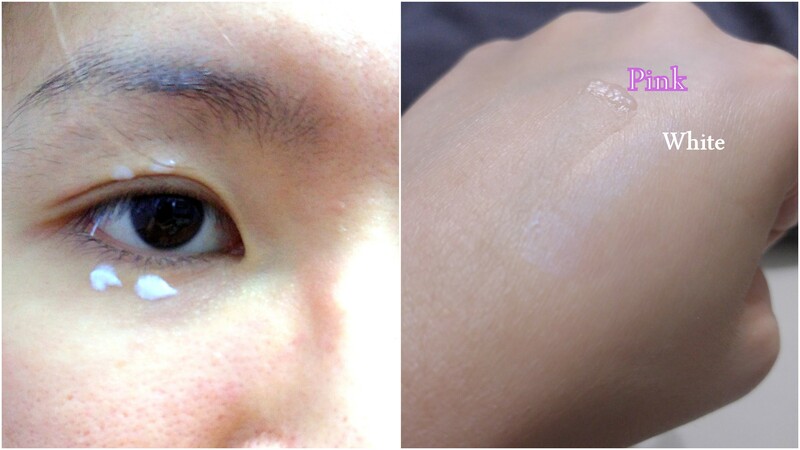 The white cream has a pearly sheen so it helps brightens up my undereye instantly after application. Pink Cream gets absorbed almost instantly on the upper eye area and skin felt silky smooth after application. Have used the cream for about a week and there’s no adverse reactions like oil seeds / pimples / redness / itchiness after application. My fine lines appears to be more hydrated and less patchy.. My dark eye circles are still there but it is a known fact that it is difficult to treat (Unless i get more sleep). The brightening effect of the cream does help my eyes to look less tired. 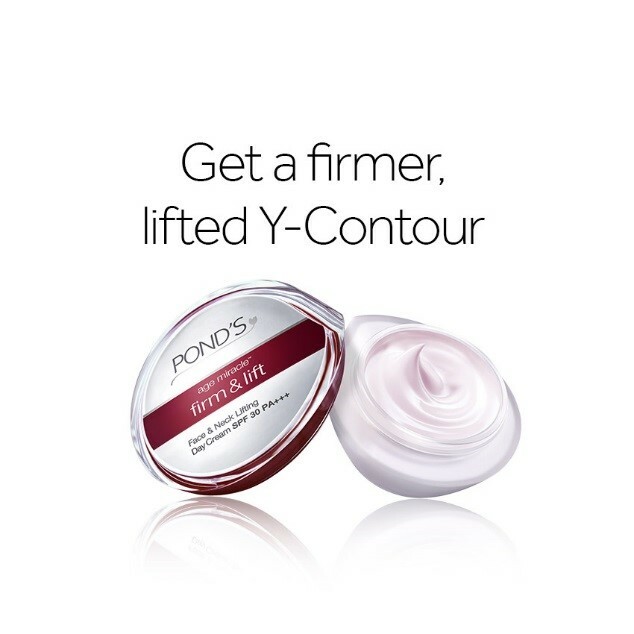 Infused with the potent InstantLift™ Complex which is made up of a combination of Polyimide and Lipodipeptide, this highly concentrated lifting cream corrects deep lines and wrinkles by strengthening and tightening fibres beneath the surface of the skin to give the face silhouette a lift. Revealing a firmer Y-Contour on the lower half of the face, this lush cream also comes complete with UVA and UVB filters for effective sun protection. Retails at $39.90 for 50g. This fast-acting treatment roll-on is infused with the advanced InstantLift™ Complex, hydrolysed Collagen and Lipodipeptide aimed at specific areas around the Y-Contour. Presented with a unique cooling massage applicator, this breakthrough discovery helps to precisely target areas around the jawline and neck to achieve a Y-shape silhouette to achieve an overall youthful fix. Retails at $49.90 for 25ml. The products are now available at selected shopping malls (Bugis BHG and Centrepoint), supermarkets (Cold Storage, Mediya), Giant Hypermart and Guardian pharmacies. From now till 26 July, ‘Love Your Expressions Selfie Contest’ is taking place and 5 most creative entries will win a Pond’s age miracle day cream, autographed by the brand ambassador, Michelle Chong! 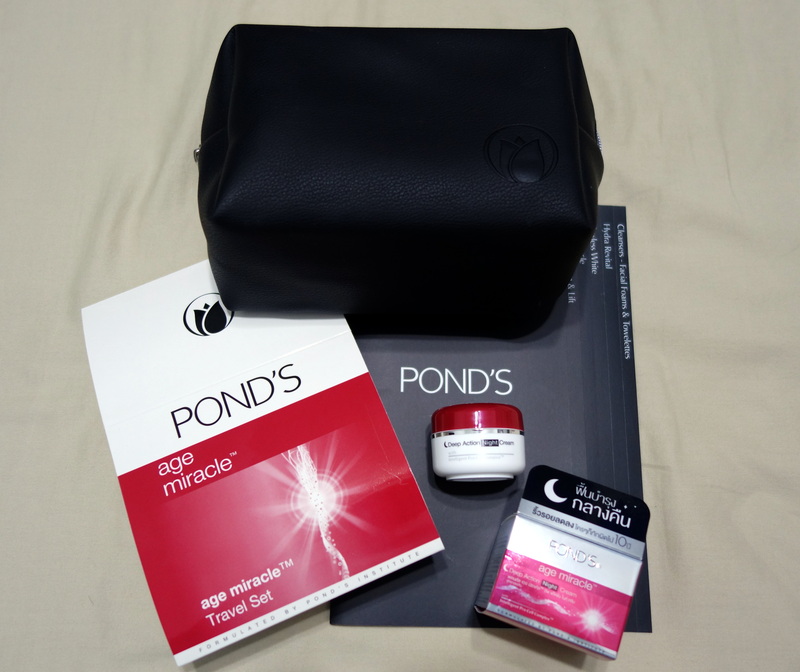 For more information, visit Pond’s Facebook page. Moisturise with DCS’ Aquaderm range to achieve Korean looking skin which glows from within!